Custom furniture can mean a lot of things. 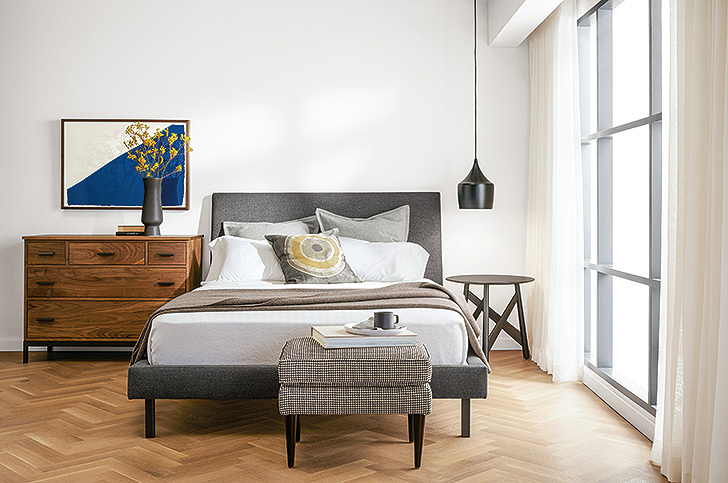 At Room & Board, it means we make it easy to get exactly what you want. If our wide variety of stocked options for a particular product aren’t your style or don’t fit your space, that’s where custom comes in. No space is too tricky to solve with the help of custom furniture. Our direct relationships with American manufacturers make customizing simple, affordable and quick. 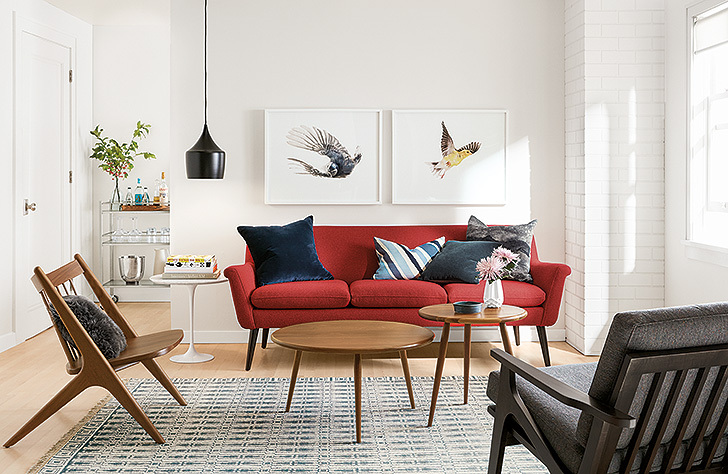 Upholstery is our umbrella term for any piece of furniture you want to cozy up to (think sofas, sectionals, chairs, ottomans, beds, and stools and benches). When you fall in love with a certain sofa or find your dream bed, you can choose from the stocked fabrics or simply customize any upholstered piece with any other fabric, and any leather item in any of our leathers. Once you click into a particular product on roomandboard.com, you can easily see how it will look in your choice of fabric or leather by clicking your desired color swatch, which drapes your selection over the item. 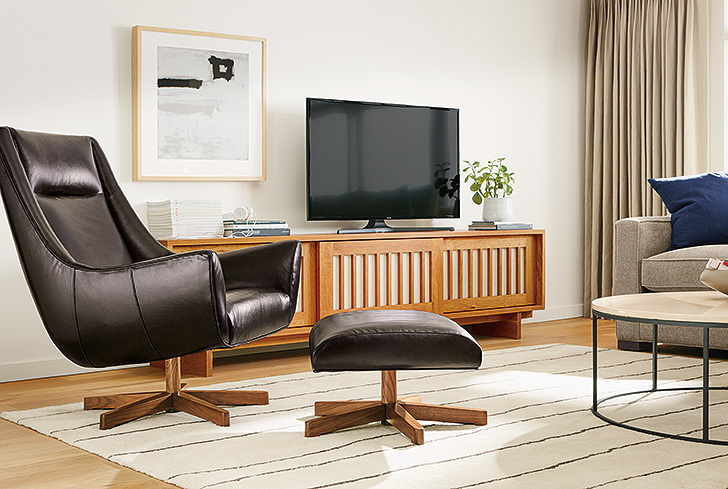 Give the tool a try on any of these custom sofas and sectionals, for example. Design your own storage solution to perfectly fit your needs and space, large or small. 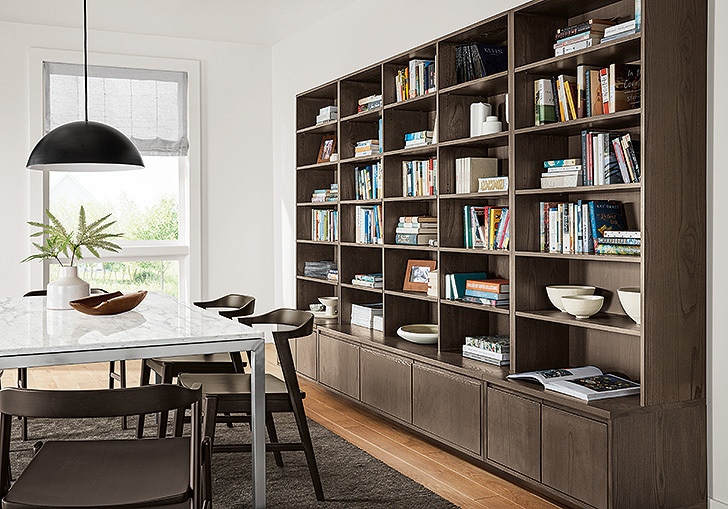 Four of our most popular storage and bookcase collections are available with custom options. Choose the materials, dimensions and your ideal mix of inserts: drawers, cabinets, shelving and more (ahem, wine racks). 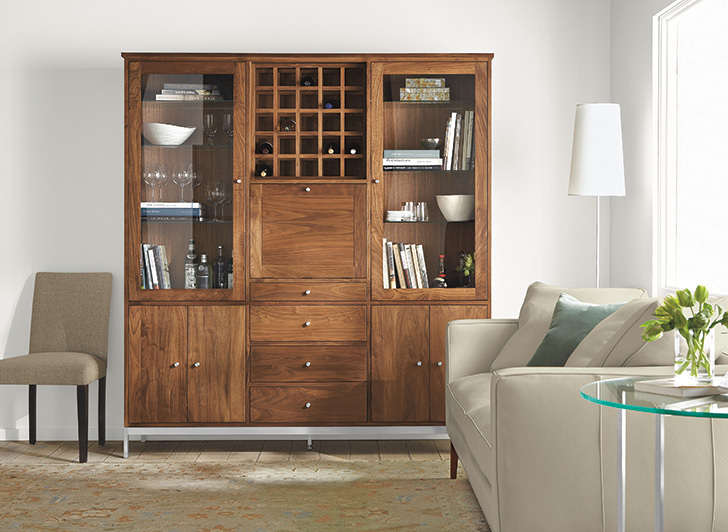 Get started with our online tools to create a custom cabinet or custom bookcase today. Offered in an unparalleled selection of styles and materials, our custom desks, dining tables, outdoor tables and end tables are made to your dimensions to the exact inch. Select your width, depth and height to create just the size you need then choose from a wide variety of wood, glass or stone top options. Table widths start as small as seven inches and can go all the way up to 120 inches, depending on your overall table dimensions. See all custom by-the-inch table options. Customize a rug to fit your unique space. Most of our rugs can be made-to-order in the length and width that’s just right for your room. Rectangular and round sizes are both available for customization. 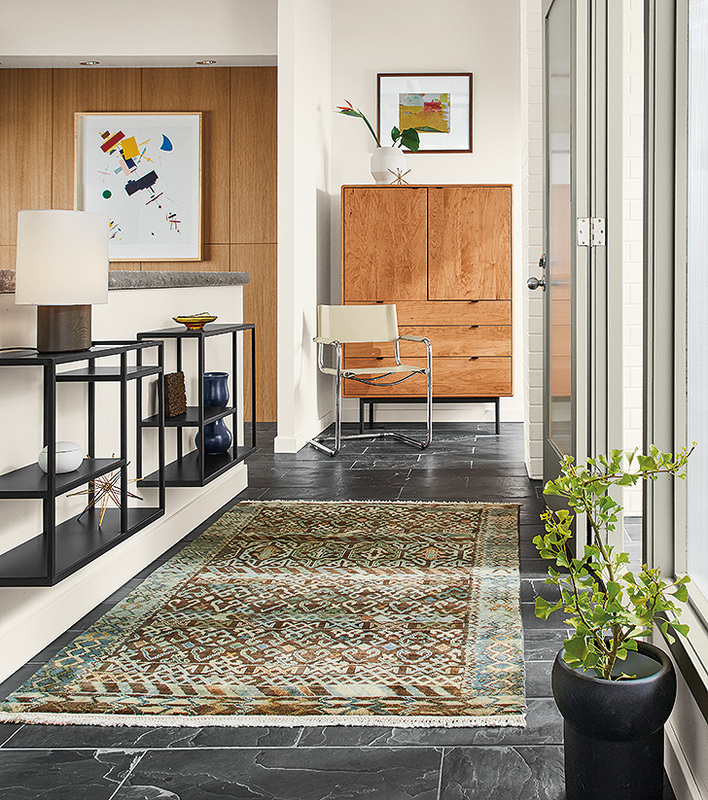 As long as your rug length is greater than or equal to your desired width, you’re good to go! 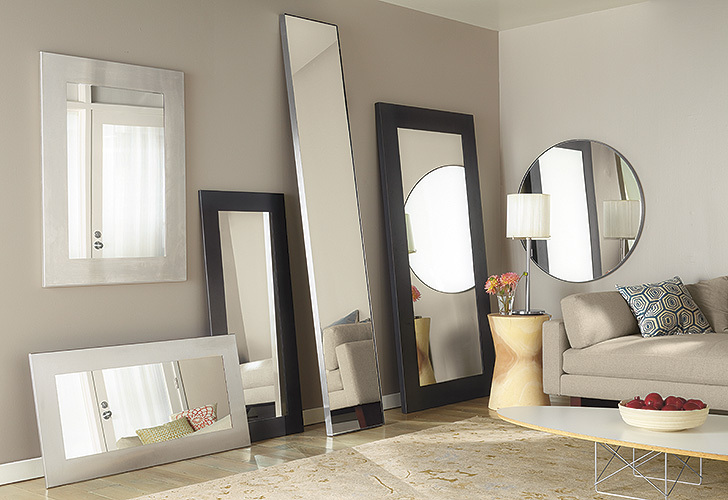 Create a mirror that reflects your style. Choose a shape, finish and size in wall-hanging or leaning designs from our four most popular collections. We believe your furniture and home should be an extension of your lifestyle, so why settle when you can get exactly what you need? 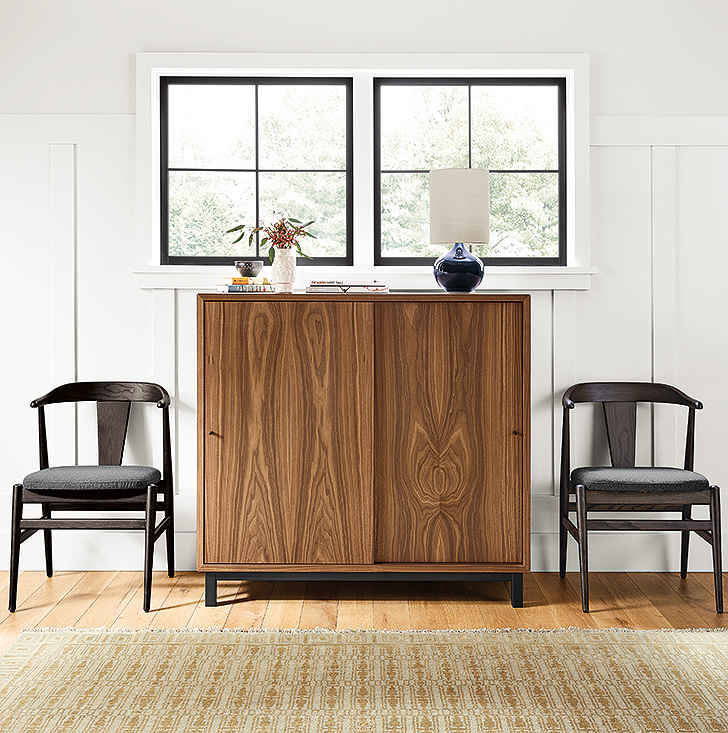 Explore online tools or stop into any Room & Board store to chat with a Design Associate about how to shop for your custom furniture.